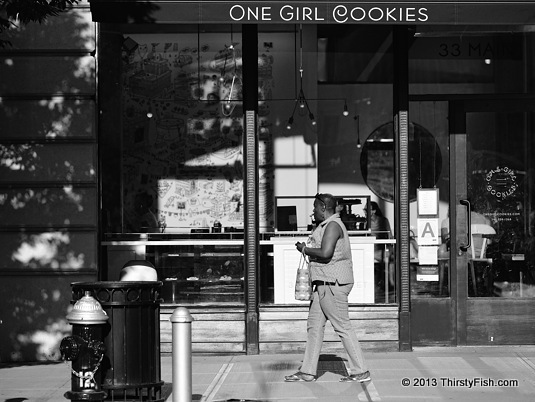 One Girl Cookies shop in DUMBO. Here is a major problematic problem: Food that tastes good is generally not good for us. We are evolved to prefer high energy foods. We need to fight our evolutionary impulses just to eat healthy. We no longer work for our food, and fatty and sugary foods are more regularly available than healthy choices which implies even more self-discipline. The quest for pleasure has become more of a duty than a pleasure.